‘The Hill’ Nine Arches Press, 2017. 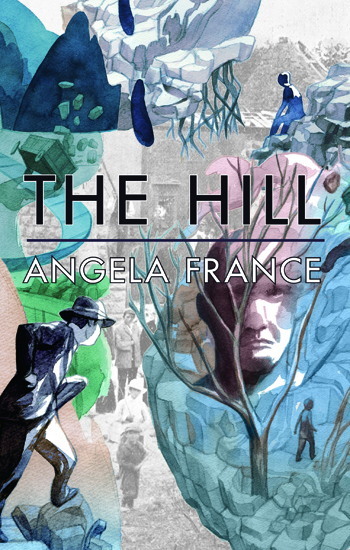 Angela France’s The Hill is a remarkable sequence of poems that leads us up the winding footpaths of Leckhampton Hill near Cheltenham. Under our feet are fossils and flora, bones and the relics of quarrying. France is masterful in capturing the sense of place and weaving the entrancing voices of the hill, its walkers and inhabitants, into the fabric of these formally adventurous poems that range from prose to ‘anglish’, richly worded and delighting in their shapes and sounds. ‘Invisibility must be achieved for success’, writes Angela France, revealing one of the truths of why the best poets serve language and are annihilated in the process. 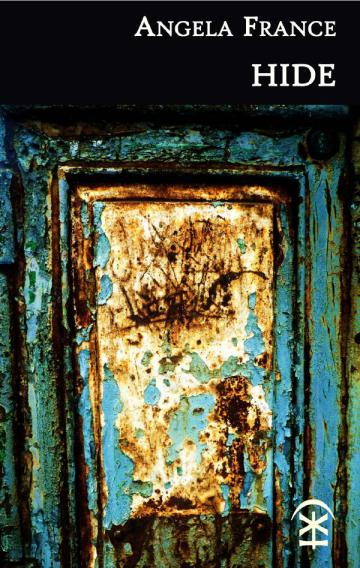 Hide is a book of wisdom, dignity and first witness. 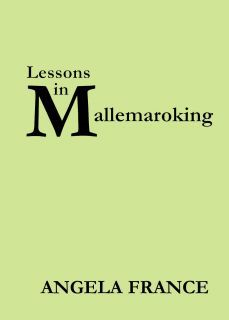 It offers poems of scrutiny and strength of character. And the poet's language possesses and is possessed by a gloriously sheared weight and shared music. ‘Occupation’ Ragged Raven Press, 2009. 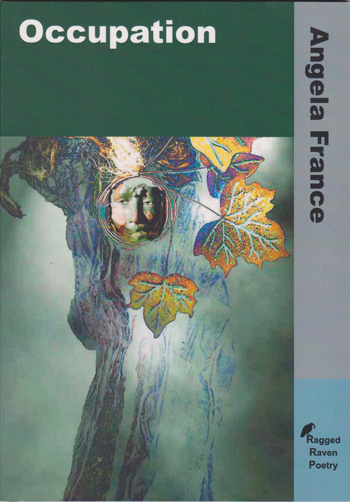 Angela France’s robust poems move through a range of themes, but the passage of time and the struggle against it, in physical effort, in mind and in dream, recur. There is also a very welcome intellectual clarity that produces a beauty of its own, in short poems, like Unpoem and Beeing, but also in more gritty works of realism like Urban. The poems are always vigorous and rhythmically controlled. Occupation establishes a clear, firm, valuable voice in contemporary poetry. © 2017 · Angela France · All rights reserved.· Built at gecp.